One Day Can Make All The Difference! Association is one of the most powerful forces in our lives, discover how to harness it and you will transform your life. For the rare and qualified few, Evan Money will open his business and personal life with you for the sole purpose of sky-rocketing your growth and fast forwarding your biggest dreams to make them reality. Evan will also personally give you a special tour of inspiration along the breathtaking coastline of majestic Rancho Palos Verdes. Frank Lloyd Wright homes along the way. 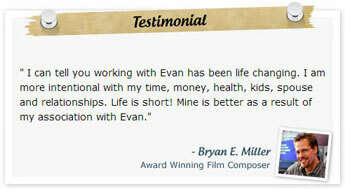 Due to Evan’s movie commitments and guarded family time. Call or e-mail for an application. Trade in your OLD life for the GOLD life, it starts by putting God first. You must go beyond normal masterminds to reach the GOLD Life. box office and 17 consecutive hit movies, but we add something more. Going from OLD to GOLD requires bringing all of God ( capital G) and moving him in front of your old life and business. Imagine the levels of greatness you can achieve with God fully on your side leading the way. 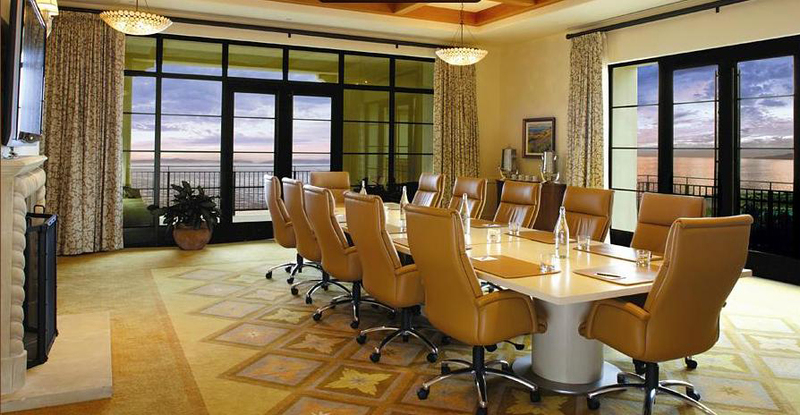 Each GOLD Life consists of a Expert Panel hand picked by Evan Money himself to match the needs of each group. Evan will bring in select individuals who have massive success in all areas of their lives (Health, Relationships,Finances, Business, Faith) and are living Life to the Full! Imagine experiencing this powerful group that is committed to helping you reach your biggest dreams and goals. learn from each others best practices in life, specifically health, relationships, finances, business and faith. As well as, learn from our Expert Panels mistakes. When your successful, most people party, when you face failure, most of us ponder. The mistakes made by our expert panel alone are priceless learning tools. not based on your net worth, rather your self worth. We are are looking for select individuals who are ready to climb the peak of greatness in all areas of their life. 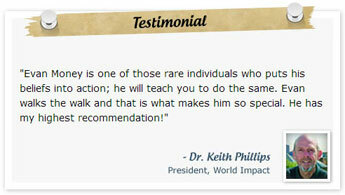 Will you be one of the lucky few who benefits from the experience and insight of this program? then I invite you to apply. $4,997 or pay in full for $15,997. $9,997 or pay in full for $34,997. and you’ll pay for the entire, 12-month process. ability to add enormous value, please don’t even apply for consideration. However, if the GOLD life speaks to your soul and you are ready to live Life to the Full, then take action now! embrace the greatness God has put in you? It’s time to rise up to the GOLD standard in your life. A higher standard in your relationships, health and finances. It’s time to leave average behind and be a man or woman of greatness! Get ready to live Life to the Full. Now it’s just a matter of financial details. We personally guarantee our results and back it with action! “Evan, I finally took your advice and ‘took action now’. I started a recruiting company and currently supporting close to 10 chick-fil-A franchsiees. I got invited to chick-fil-a corporate headquarters in Atlanta, to present my business to a panel of operators. If they select me, I’ll become an official preferred talent sourcing company for CFA franchisees. 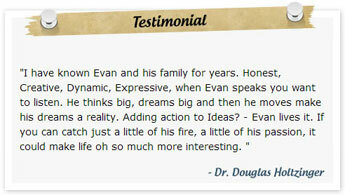 Thanks for your inspiration!” – Travis C.
IMAGINE the freedom and breakthroughs that await you. a million dreams for the world we are going to make. 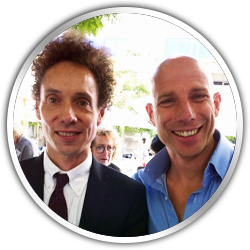 Enjoying the afternoon with Malcolm Gladwell. 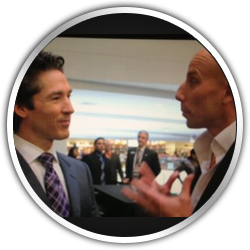 Sharing insights with Joel Osteen.